Two other SAC bases built in Canada were also selecting civilians to perform the same duty – 45 for Namao (just outside Edmonton) and another 60 for Churchill in Manitoba. All were to be trained over the summer and fall of 1961 at the Crash Rescue Fire Fighter School in Camp Borden, Ontario, a school that had an established reputation as being the best in the business. While a few of the men destined for Cold Lake had small town, volunteer firefighter experience, most, including myself, were taken in as raw recruits. 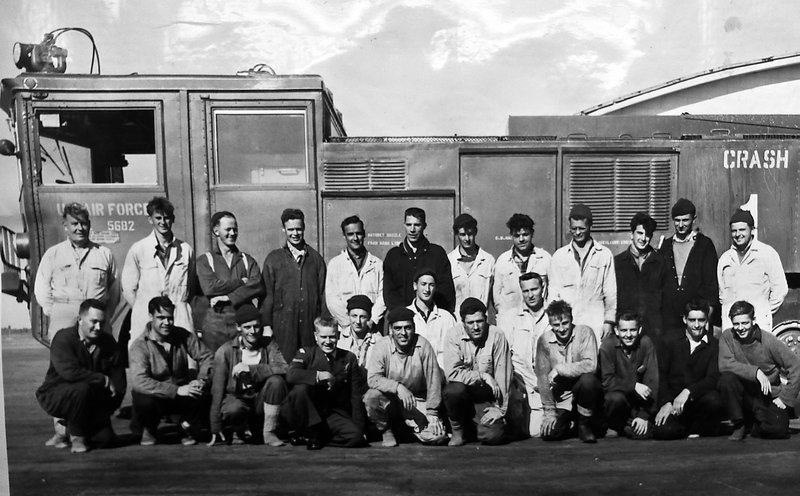 Over a period of five months spread over two training groups, the men moved from the training stage to manning a full-service Fire Department. This included a process to select a Fire Chief and Crew Chiefs from within the ranks of those trained at Borden. The expedited process resulted from the reluctance of the RCAF, in the politically charged climate of the deep Cold War, to have RCAF personnel fully integrated into what was essentially an independent USAF operation on Canadian soil. For their part, the USAF was not able to field a sufficient number of firefighters to perform this duty due to a rapidly expanding Cold War Strike Force that stretched around the world. This included manning over 450 SAC bases within the continental United States, Alaska, and Hawaii. The threat of a nuclear attack and potential annihilation of mankind was one of the most feared events throughout the 1950s and 60s. The proliferation of nuclear weapons following the Second World Wars and the resultant partition of Europe lead to almost continuous conflict from 1914 through 1975 (the end of the Viet Nam War). 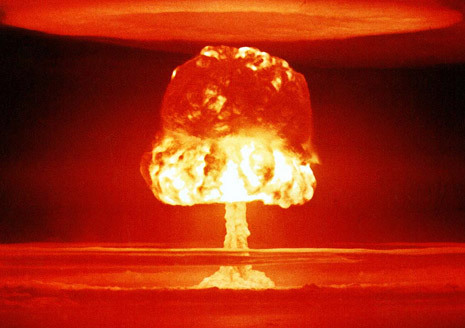 An all out Nuclear War between the Western Democracies and Russia would most certainly have ended life on earth as we know it. By way of comparison, the current day “war on terror” is a rather trivial event. It was a time in our history when the Cold War mentality paralyzed much of the world and a time when Canada hosted a nuclear arsenal that was globally fifth in size behind only the United States, Russia, England, and France. The nuclear weapons in Canada, the subject of secret agreements, were stored across the country as well as carried aboard giant B52 bombers that circled high in the skies above the Canadian Arctic twenty-four hours a day, seven days a week. The giant USAF Base at Goose Bay hosted between 12,000 and 15,000 USAF personnel in what was one of the largest USAF bases outside the United States.